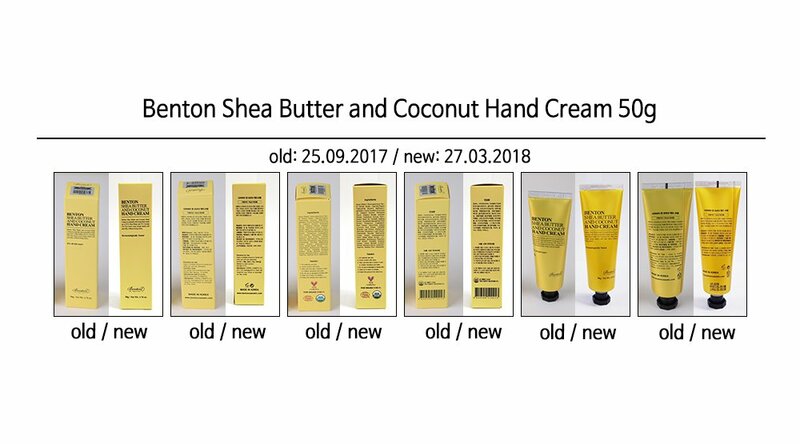 We hereby notify that there have been changes in the box and the tube packaging of Shea Butter and Coconut Hand Cream. Please see attached image to check the manufacture dates and changes. 1. Find the product and the manufacture date. 2. The manufacture date is marked in order of ‘DD.MM.YYYY’. 3. Please feel free to contact us should you have any inquiries regarding the products whose manufacture dates are not addressed in the image.